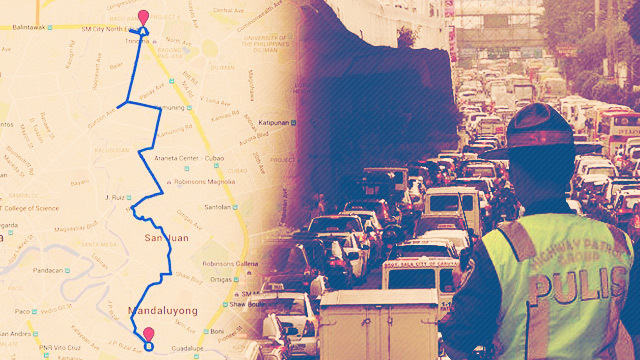 Can The 'Mabuhay Lanes' Finally Fix Metro Manila Traffic? We give you the facts on this auspicious campaign and help you determine if it's really the answer to preventing future car-mageddon(s). With traffic getting more and more hellish by the day, the Metropolitan Manila Development Authority (MMDA) has started clearing roads in preparation for its "Mabuhay Lanes" alternative routing scheme. On the first day of clearing operations, 13 illegally parked vehicles were reportedly towed and 99 were issued traffic violation tickets, for a total of 112 violators. Yet, the movement on EDSA, that chokepoint of a main thoroughfare, didn't really change that much. This led us to ask (and answer it as well): What the hell can these so-called express routes do? In this edition of the FHM Explainer, we give you the facts on this auspicious campaign and help you determine if it's really the answer to future car-mageddon(s). These are 17 alternate routes motorists can pass through to avoid the EDSA parking lot—AKA "Plan B" or "the daily commuter's saving grace." WHERE THE HELL WILL THESE MABUHAY LANES BE? We wonder if Waze already knows about these road developments. HOW ARE THE AUTHORITIES GOING TO MAKE THIS POSSIBLE? - All illegally parked motor vehicles on EDSA and secondary streets of Mabuhay or Christmas lanes will be towed away and violators will be apprehended and slapped with corresponding fines and penalties. - Illegal vending of ambulant vendors with their karitons (push carts) in tow along EDSA will no longer be allowed and their wares will be confiscated if they refuse to cooperate, under existing LGU (local government units) ordinances. - Some U-turn slots that have been found to be unnecessary along EDSA and other major thoroughfares will be closed and replaced with more efficient signal light system. Parking on the Mabuhay Lanes is also not allowed from 6 to 9 a.m. WHEN AND UNTIL WHEN WILL THIS BE IMPLEMENTED? Initially set up in preparation for the Christmas jam, Philippine National Police-Highway Patrol Group director Chief Superintendent Arnold Gunnacao stressed that the Mabuhay Lanes will stay for good to somewhat alleviate the traffic hellhole that is EDSA. "Kung alam lang ng mga mamayan sana na ito ang magagandang daanan ay mababawasan ang mga sasakayan sa EDSA," he told News To Go. WHO WILL BE ON TOP OF ALL OF THIS? The MMDA, LGUs and the PNP-HPG, in cooperation with the Department of Public Works and Highways, Department of Interior and Local Government, and Land Transportation Office—particularly their composite traffic and clearing operations teams—are tasked to free up traffic (and whatever's blocking the way at) the designated Mabuhay Lanes. To them we say, "Good luck, sirs! (You're going to need it!)"